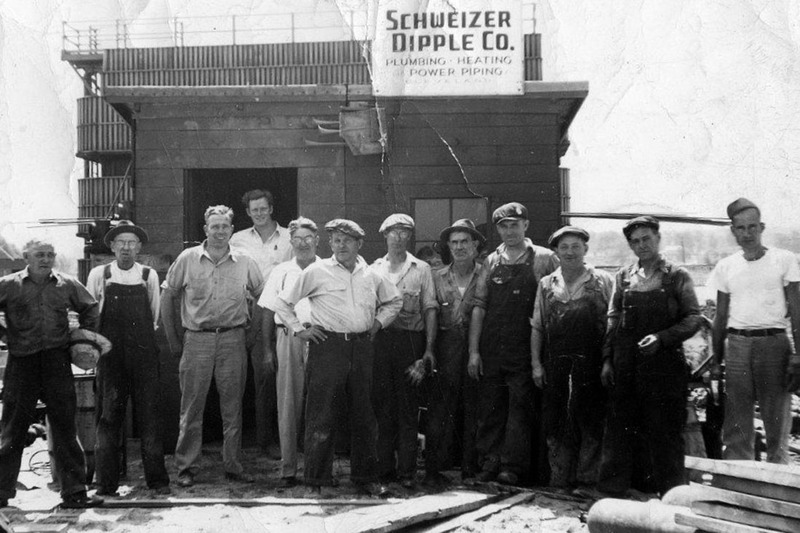 Since its early beginnings in 1934 when Fred Schweizer and James Dipple founded Schweizer Dipple Incorporated, the Company has provided honest, timely, high-quality service to its customers. The commitment to hard work and integrity by all Schweizer Dipple, Inc. employees is evidenced by its many satisfied customers. Customers know that this Company can be relied on to provide excellent workmanship, honest quotations, and fair billing. A national survey consistently rates Schweizer Dipple among the top Mechanical Contractors in the country. We take seriously our slogan “A reputation for doing it right!”.